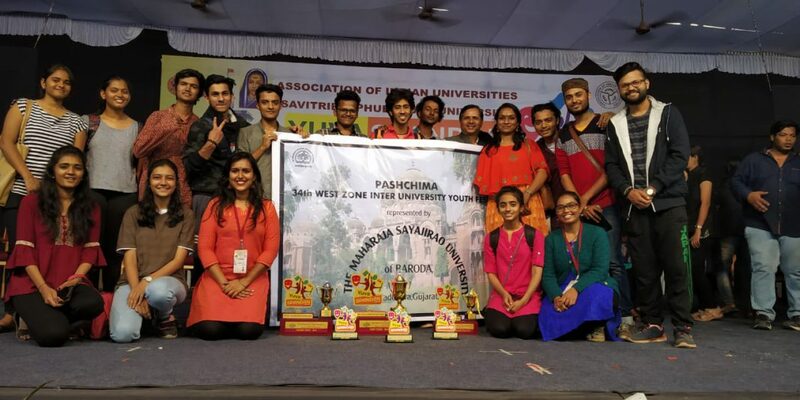 Students of MSU Baroda bring laurels to the city as they secured top positions in following positions of West Zone Inter University Youth Festival. MSU took part in the festival after 20 years and performed well among the 32 participating universities. With the initiative of MSU VP Saloni Mishra and support of MSU Union President Satyajit Chaudhary the students participated in various events and secured top positions. Shubham Patel from Masters in Illustrations-Applied Arts secured 1st position in Mehendi competition. Bhushan Patel from MHRM (Faculty of Social Works), Jay Rana from Bcom hons (Faculty of Commerce) and Vedang Krishnan from Bsc (Chemistry) Faculty of Science secured 2nd in Quiz competition. 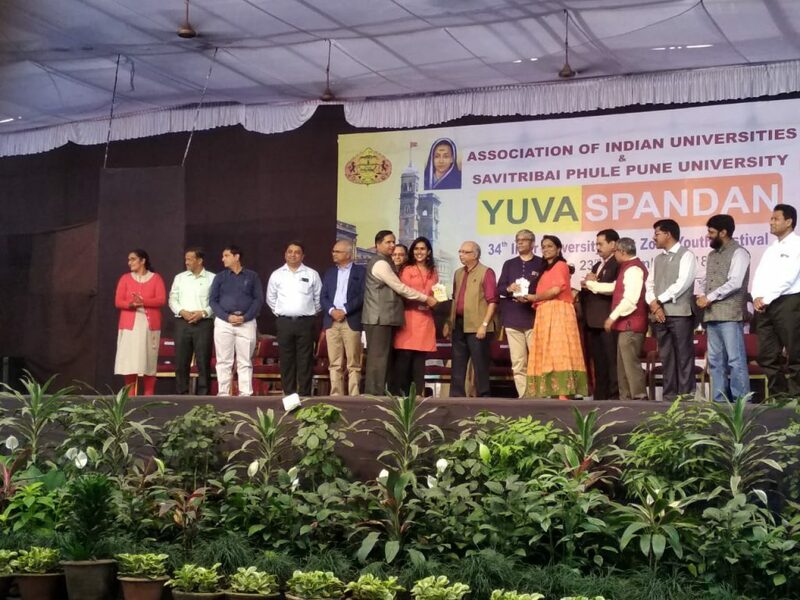 Yash Devle from Masters in Vocals Faculty of Performing arts secured 3rd in Indian Classical Vocals Solo. Out of 32 universities 5 to 6 universities from Rajasthan, Gujarat, Maharashtra and Goa have secured positions including MSU Baroda. 34 students from different faculties in MSU participated in variety of events from cultural to Literary to theatre and mark their names.